From acclaimed director Naomi Kawase (The Mourning Forest, Still in the Water), the 2015 film Sweet Bean (あん) is a poignant and exquisite intergenerational drama about three characters finding connections in the most unexpected ways. It begins with a introverted loner Sentaro (Matoshi Nagase) who runs a “dorayaki” shop (pancakes filled with sweet bean paste) in the suburbs of Tokyo. A 76 year old Tokue (Kirin Kiki) persistently asks Sentaro to work in his shop and eventually he accepts. The acceptance is the start of change for Sentaro, Tokue and Wakana (a regular at the shop) as they begin to open their hearts to reveal old wounds and painful secrets. This spring, Japan Society celebrates the astonishing yet little-known world of Japanese musical films. The series focuses on the golden age of the “popular song film” starring teen idols and TV stars from the 50s and 60s. It also reaches back to prewar singing samurai and forward to twenty-first century genre mashups – 10 songful cinema gems all on 35mm! Musical performance in these films incorporates Japanese musical tradition as well as the utopian space of the Hollywood musical to create a rich commentary on the intimate and unequal relation between Japan and the USA. This series is guest curated by Michael Raine, Assistant Professor of Film Studies at Western University, Canada. Posted on March 10, 2016 by Admin. Meijo University (Nagoya, Japan) offers the summer program (from June 27 – July 9th) during the summer of 2016. Two professors–Dr. Yasumi Murata and Dr. Mami Futagami–from Meijo University visited Baruch College and gave an information session on March 3rd, 2016. The summer program comes with several fee waivers and a scholarship for covering the expense for accommodation. Still, you need to cover the rest of the expenses (see below). As the Baruch Japan Program, we will be able to send 3 students for the program. If you are interested in the program and seriously consider applying to the program, please familiarize yourself with the program first. And, then, please notify Professor Suzuki of your interest ASAP: SHIGERU.SUZUKI@baruch.cuny.edu. The accommodation: 30,000 yen (approx. $270 dollars). The accommodation expense is 80,000 yen (approx. $710) but the scholarship covers the amount of 50,000 yen (approx. $ 440). Therefore, you are responsible for the rest: 30,000 yen (approx. $270). We hope you all enjoyed our study abroad session last week. This Thursday during club hours in room 11-165, we will be having our second Japanese Conversation Class with the Japanese Anime Asylum. 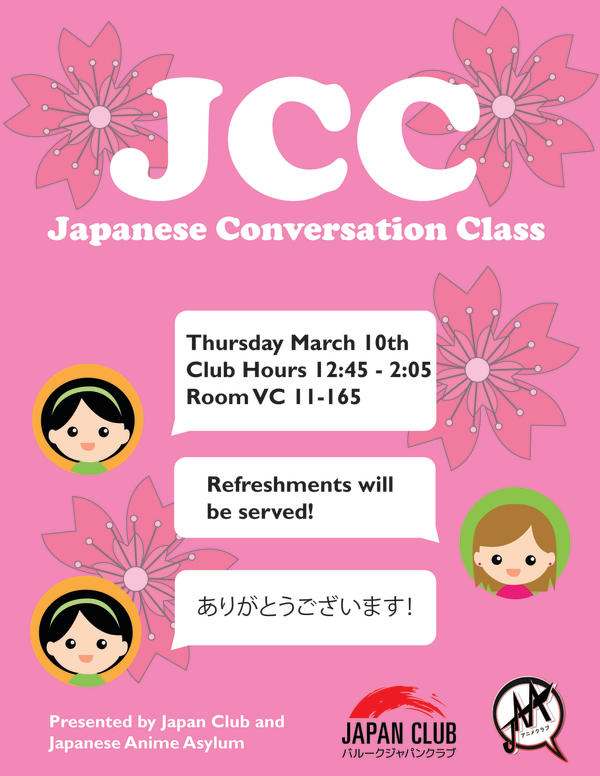 As you may know, JCC is an event designed to help introduce students to the Japanese language as well as to help them improve their Japanese speaking skills. For this JCC, we will be collaborating with the Japanese Anime Asylum to teach you about anime phrases. Refreshments will be served as well. We hope to see you all there! 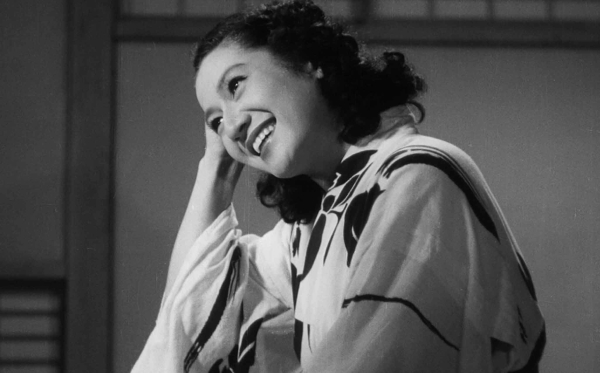 From Film Forum: The late, great Setsuko Hara in Late Spring. Film Forum is screening Yasujiiro Ozu’s 1949 family drama Late Spring （晩春）until March 10. Posted on March 4, 2016 by Admin. 2013.3.31 Takata Matsubara from the seriesRikuzentakata, 2013 Hatakeyama Naoya (b. 1958) Photograph, chromogenic print © Naoya Hatakeyama, Courtesy of Taka Ishii Gallery Courtesy Museum of Fine Arts, Boston. As the human loss and material devastation of 3/11 remain urgent issues five years on, this symposium focuses on innovations in art and architecture that have arisen in the aftermath of the disaster, and considers the ongoing efforts at rebuilding from new perspectives. Leading artists, practitioners and scholars discuss the emergence of local community as a determining factor of creative expression, and its potential as a model for art and architecture globally. Participants include architectural historian and ArchiAid co-founder Prof. Taro Igarashi (Tohoku University), exhibition artists Lieko Shiga and Tomoko Yoneda, and In the Wake co-curator Anne Nishimura Morse (Museum of Fine Arts, Boston). Refreshments and free gallery admission provided. Part of Commemorating the 5th Anniversary of 3/11, an institution-wide series of programming that examines the post-3/11 recovery and reconstruction process and the tremendous challenges that remain. Mango, a language-learning service to which the college currently subscribes, is offering three $1000 scholarships to students. A student who is currently enrolled as an undergraduate or graduate student at a college or university in the US. A student who has plans to continue as an enrolled student in Fall 2016. A student who is at least 18 years of age on or before September 1, 2016. Niponica is “a web magazine that introduces modern Japan to people all over the world.” It is also a useful resource for Japanese and Japanese Culture Studies students! The newest issue, No. 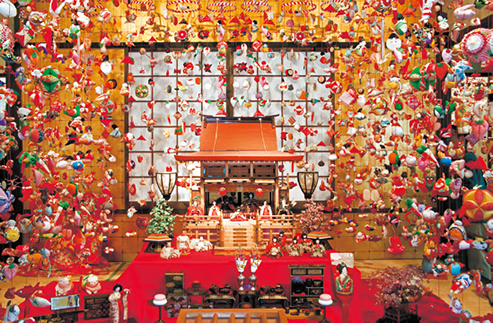 17, focuses on miniatures in Japan. It is available on the web and in PDF format.